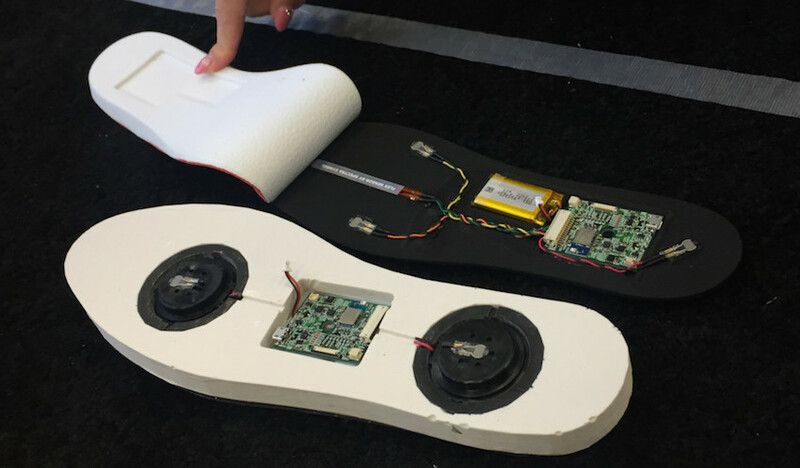 Interactive Shoes Hub by Fujitsu « Adafruit Industries – Makers, hackers, artists, designers and engineers! Fujitsu has been partnering with multiple Universities and a design company to start a platform for the future of shoes. While we have traditionally been wearing fitness trackers on our wrists this new shoe platform is exploring the man-machine relationship of getting data from our feet. While it is no surprise that these shoes feature a bluetooth interface and a bunch of sensors there are a few novel ideas already coming out of this project. 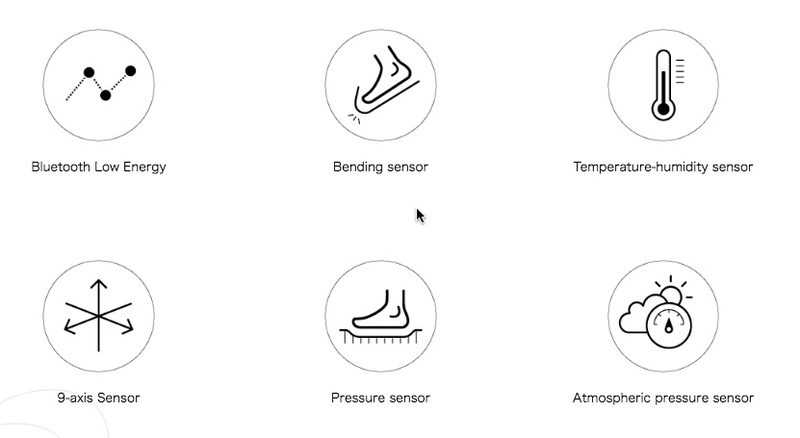 Interactive Shoes Experience – Body movement shown in graphic and sound form. Pa-League Walk – Use your walking steps to support your favorite baseball team. This sort of gamification in wearables is new. Step – Haptic feedback “simulate, for instance, a range of terrain texture depending on foot pressure against ground”.